Bethie's Baby Blog: Spaghetti Squash Baby! 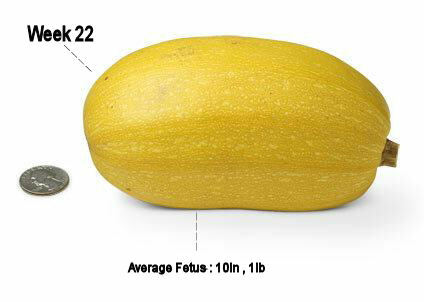 Baby Girl is the size of a spaghetti squash this week. How appropriate for the cooler weather we've been having lately! All is well in pregnancy land. Baby Girl has been moving a lot! Sometimes when she is really active, I'll pull up my shirt and watch my belly as she pokes around. It is still pretty wild to feel and see! I still feel really great. I am a bit sleepier than normal as I am up half of the night with trips to the toilet. I had to go five times the other night! Sheesh! Luckily my schedule is flexible enough at the moment that I am able to take naps when I need them.